Caution! Construction party ideas are under construction! 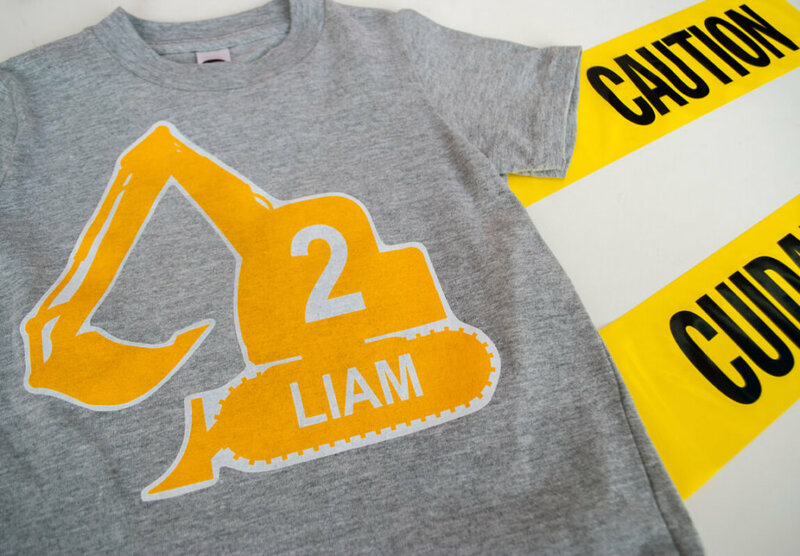 Here’s a modern construction theme party that features contemporary diggers, bulldozers, cement trucks, excavators, construction cones and construction signs. 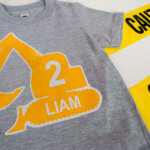 Liam’s 2nd Construction Birthday Party is one of my all-time favorite kid birthday party theme. 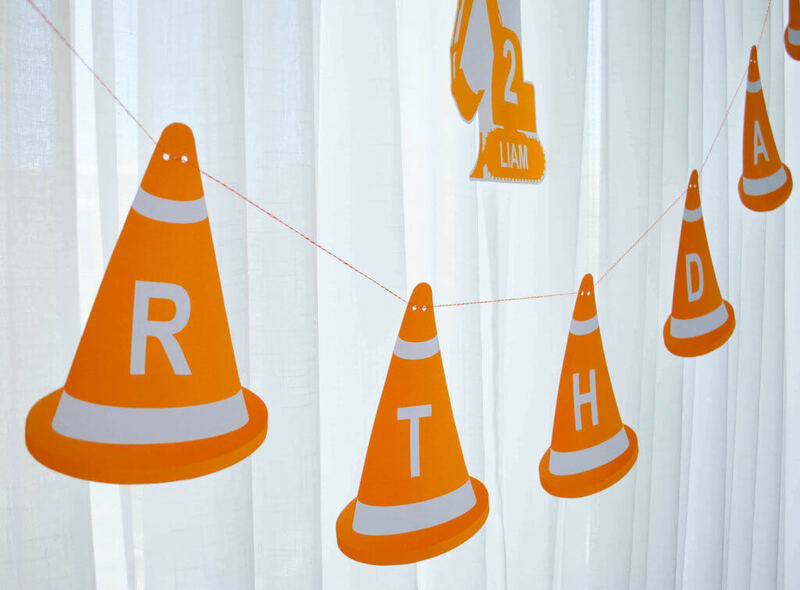 From the yummy and easy construction birthday cake to the orange cones construction birthday banner, it’s such a cute theme for a boy’s birthday party. 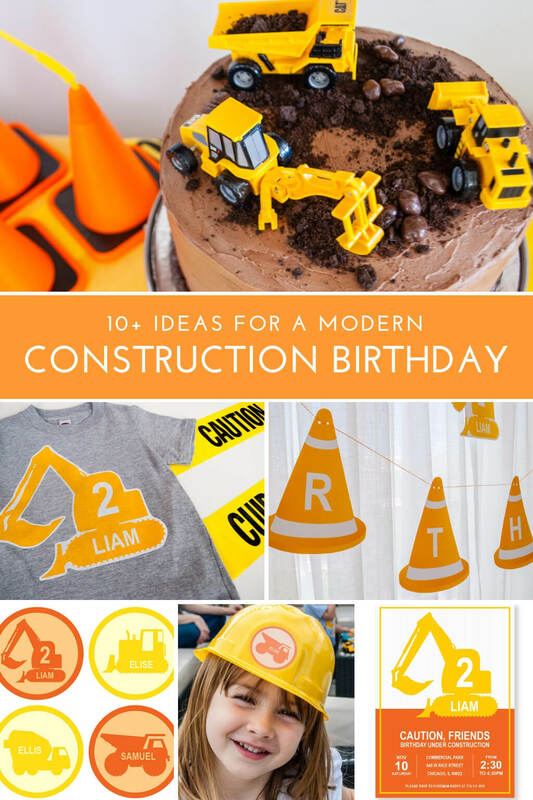 Keep reading for modern construction birthday party ideas including printable construction birthday party decorations, construction birthday party invitations, easy construction party birthday cakes, construction party favors, construction birthday party supplies, construction printables, and more construction birthday party ideas. I like to keep party costs in check and let’s face it, we only have so much time. I like to focus my limited DIY time on printable the construction party decorations – banners, signs and construction hat stickers. 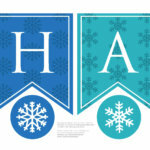 Why choose printable construction party decorations? This construction party theme has a more modern, unique look than most store-bought decorations. 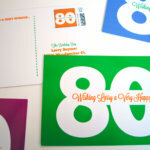 DIY printables are generally cheaper which helps keep your construction party budget in check. 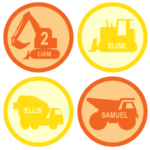 How to print construction party printables: I print my printables at home on my color ink jet printer. Be sure to set your printer to “High quality” before printing. Even better is laser printing if you have one or decide to splurge at FedEx office. I recommend this high-quality white cardstock paper and these good paper scissors to cut everything out. You can use this mini hole punch to punch cute holes in the banner and string it up using orange baker’s twine. Here are construction birthday party supplies that I recommend buying for your construction party. Happy birthday banners set the overall party tone. 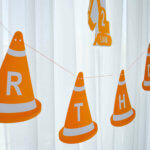 Here’s the modern construction cone happy birthday banner. 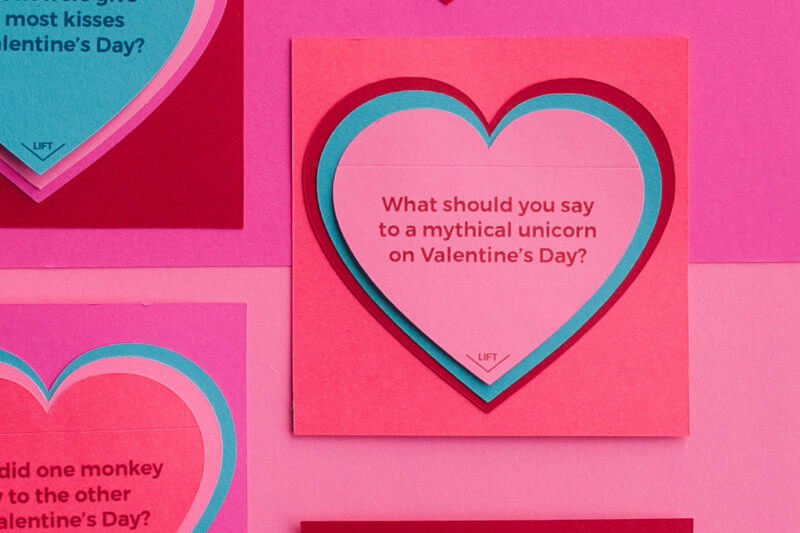 The best part is that you can download it, type to customize it yourself, and print it at home. There are two sizes t- print one or both. 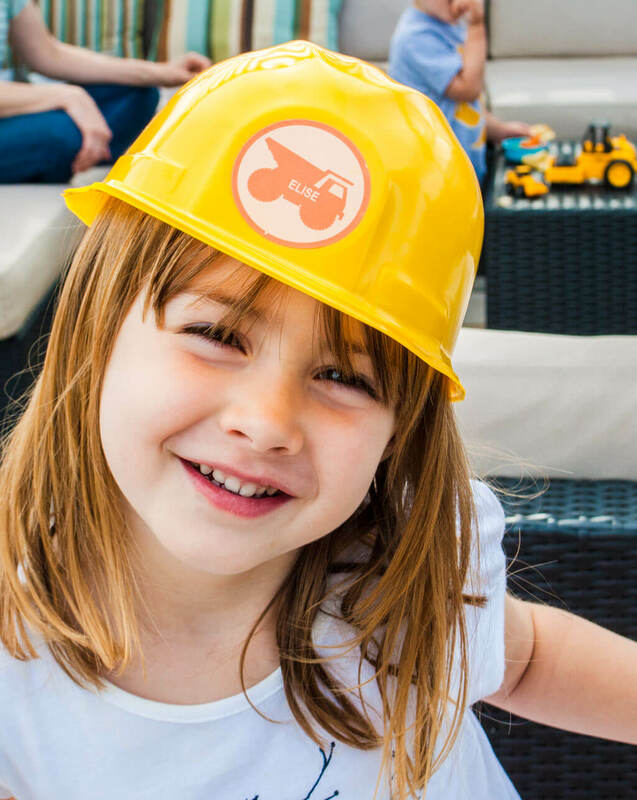 Turn party guests into construction workers with these personalized construction party hats. 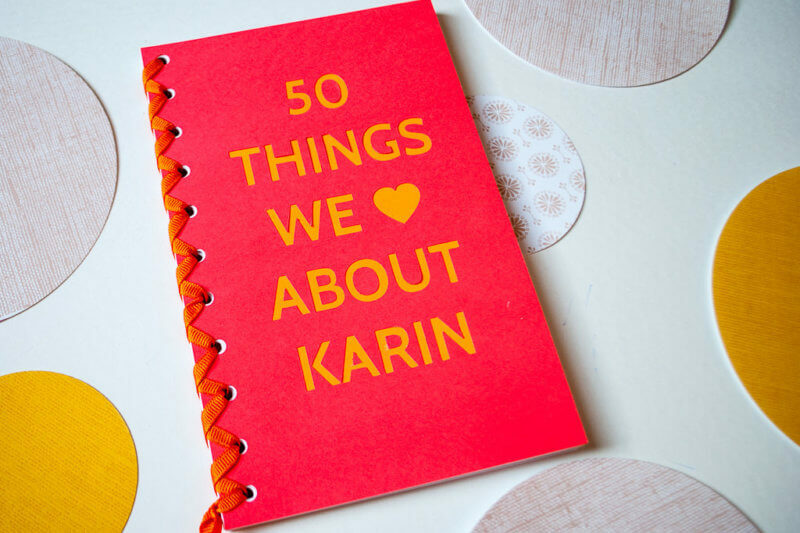 They’re inexpensive, make great construction party favors, and look super cute in party photos. 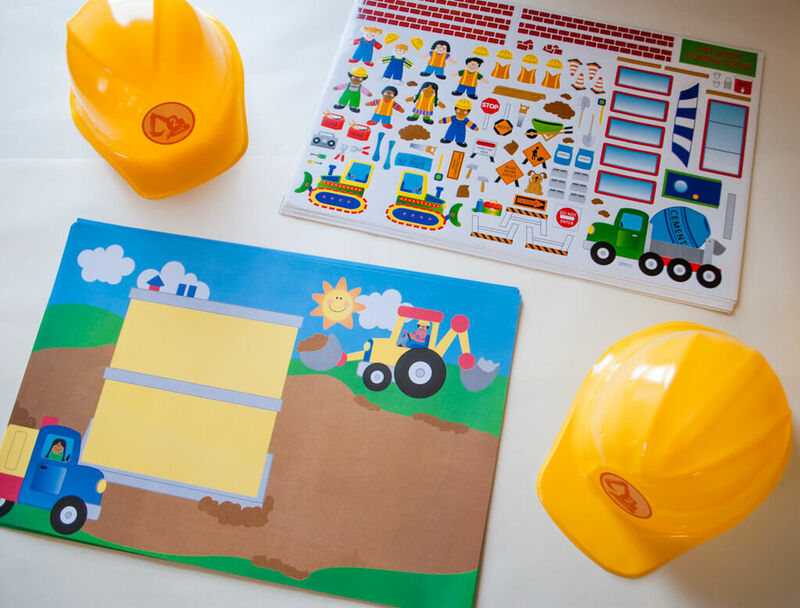 Buy these child-sized construction hats (12 per pack) and add these personalized printable stickers that you can personalize and print at home. These hats won’t last forever but I tell you, the kids at the party loved them and Liam used his for dress-up for a long time. 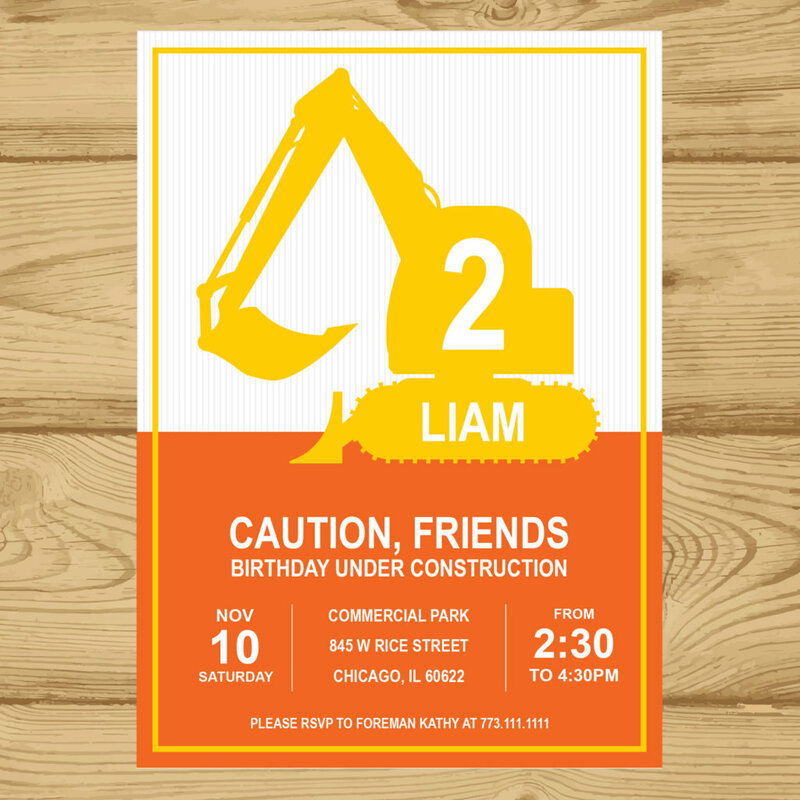 This modern printable construction birthday invitation also comes with a digital JPEG version to email. This invitation sets the construction theme tone for as more modern and contemporary than the typical construction party invitation. 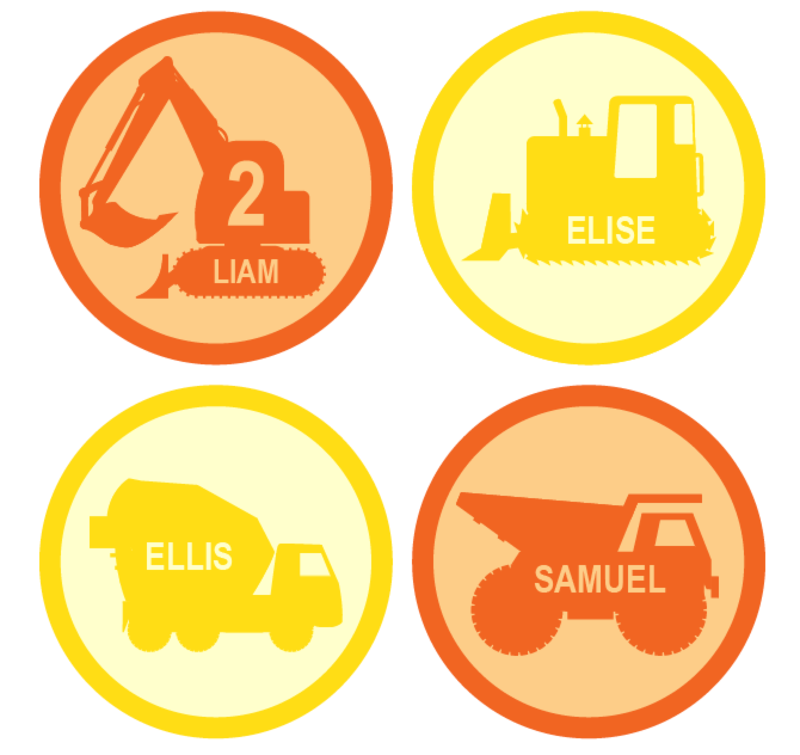 Oh yeah, those the cute personalized printables on the construction hats? 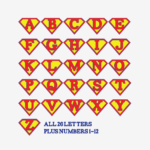 Just use the same downloadable file to make cupcake toppers or personalize favor bags. Nothing is cuter than a little boy in a personalized birthday t-shirt. This easy DIY project takes less than an hour and will make your birthday photos shine. 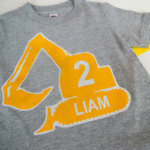 I made this construction birthday t-shirt on my ink-jet printer using iron-on paper and a blank gray t-shirt. Get the candles ready! 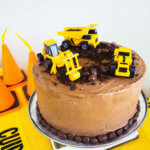 There are lots of cute construction cakes out there and many of them incorporate real toy mini construction trucks. I recommend these mini construction toy trucks that come five in a pack. You can use these cuties on top of the construction birthday cake like I did or as awesome party favors. I also really like these construction cone plastic reusable cups. It’s a nice to have but party guests thought they were really cool and took them home as favors. This is one of those items that I bought and I’m really glad that I did. It’s a stack of blank construction scenes, and it’s a really great construction birthday party activity. Kids liked this better than the free construction coloring pages that I printed out. 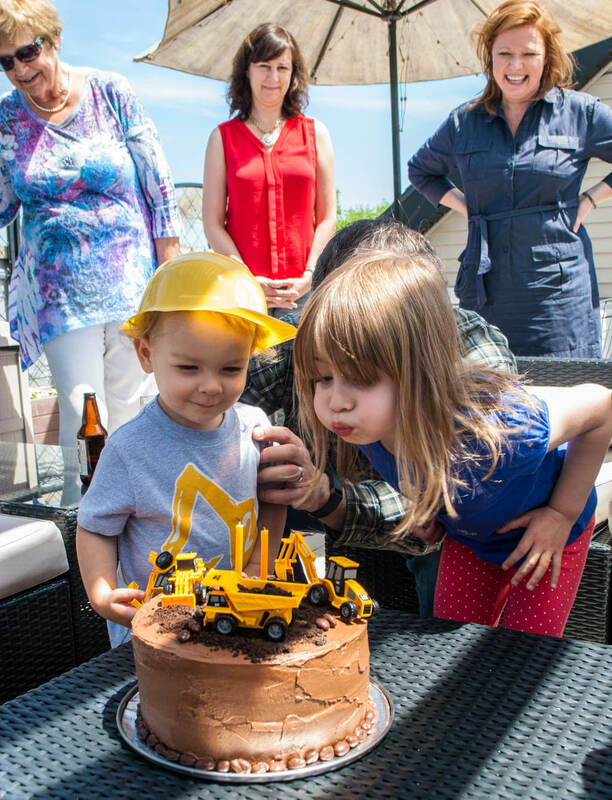 Liam had a blast at his construction birthday party, and he even let his sister help him blow out the candles. 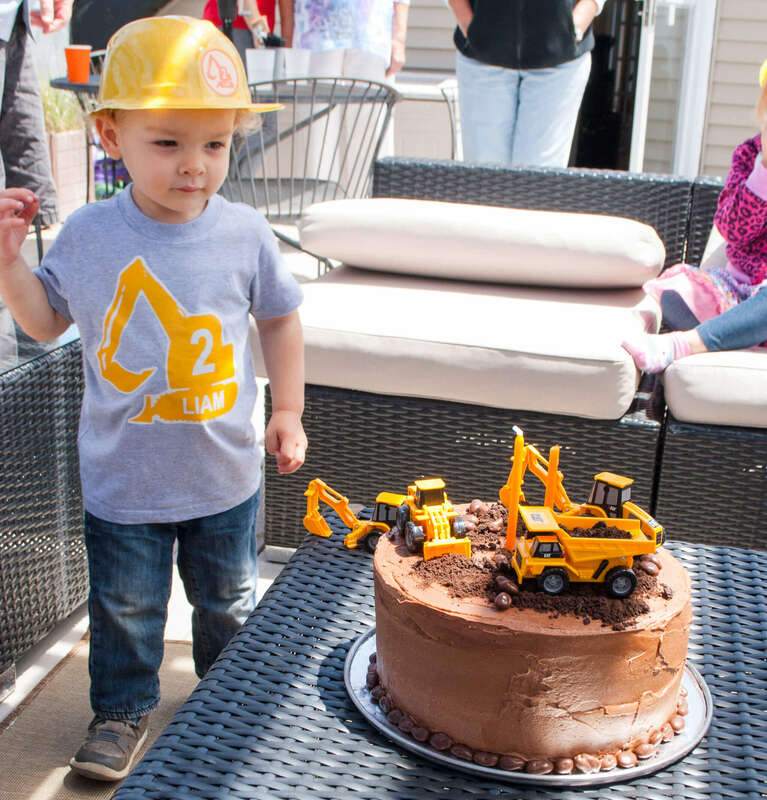 Tell me in the comments below: What are you making for your little construction worker’s birthday? 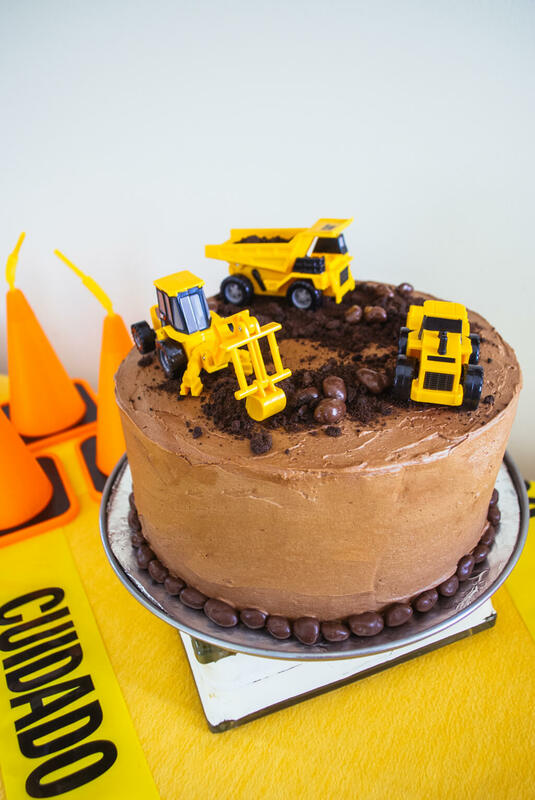 And for more construction birthday party ideas, be sure to check out my Construction Birthday Party pinterest board.